“Legislators have to make hard choices in these tough times and we just can’t afford to pay for land conservation right now.”Â Not so, saidÂ 60% of respondents in a public opinion survey conducted for UVLTÂ in NovemberÂ 2012. People of all ages, incomes andÂ backgrounds rejected the notion that tough times require cutbacks to investments in open space. More than 85% of the Upper Valley residents polled said that open space protection is good forÂ our businesses and supports a healthy economy.Â Now’s the time to tell New Hampshire legislators. Located just north of the Dodge Falls Dam in Bath, the 65 acre Wood Farm was conserved with support from LCHIP in 2006. 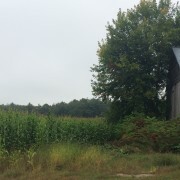 The conservation easement protects over 2,275 feet of Connecticut River shoreline and prime agricultural soils between the river and Route 135. Over the next few weeks, the NH House Finance Committee workingÂ on the budget and has scheduled a seriesÂ of public hearings around the state.Â Governor Hassan hasÂ clearly statedÂ that the diversion of dedicated Land and Community Heritage Investment Program fundsÂ must not continue. Under herÂ budget proposal for FY14 and 15 LCHIP would receive $1 million from itsÂ dedicated fee in the first year, and all fee revenues in the second yearÂ (about $4 million). These public hearings are an opportunity to ask legislators to commit their support for restored LCHIP funding as well. 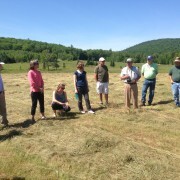 The Land and Community Heritage Investment Program was created through the efforts of numerous environmental and civic groups, local officials, businesses and legislators who came together to propose the program and a dedicated mechanism for paying for it -Â – a $25 fee paid on document recording at the county registries of deeds.Â The state legislature has repeatedly raided LCHIP’s dedicated funding source.Â Since it was put in place five years ago, only about a third ($5.8 million) of the LCHIP fee has gone to its intended purpose.Â More than $10 million in “LCHIP fees” paid by thousands of NH citizens, has been diverted to the general fund.Â We hope this is the year we can – finally restore the promise of LCHIP, giving NH residents the opportunity to fund the conservation projects that matter so much to the future of the state. The House Finance Committee will hold a public hearing on the budget in ClaremontÂ Monday, March 18, at Sugar River Valley Regional Technical CenterÂ 111 South Street,Â Claremont, NH, NEW TIME 5 – 8pm.Â A hearing in Concord is scheduled forÂ Thursday, March 7, 4:00-7:00 Concord, at Representative’s Hall. Please consider coming to one or more of the hearings. The historic Fitch Farm and East Woods were permanently protected with funding from LCHIP and the Cornish Conservation Fund in 2009. Photos, left to right: Fields along Dingleton Hill Road; family and friends gathered at the Cornish Town Hall for the conservation easement closing; vernal pool in East Woods photographed by Chris Rollins.